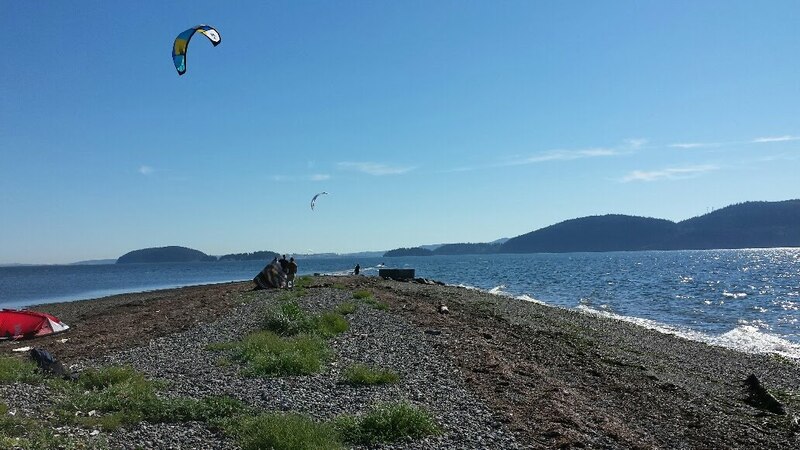 NSKA exists to foster awareness of kiteboarding, promote safety, and to collaborate with the community to enhance access focused on Whatcom, Skagit, and Island Counties. The 2017 Season is coming and hopefully you are ready to shred! To Join the NSKA for 2017 you can pay with Pay Pal or send us a check. Please email us at admin@nskite.com if you have any questions. 1. 15% discount off MSRP at Bellingham Kite Paddle Surf for current model (2015) kites and boards (that aren't already on sale). 2. Free Parking at Locust and use of the facility. 3. Help install and maintain wind sensors in the local area. 4. Help the NSKA build and maintain access to local launches. 5. Use of the race/lightwind boards at the center. Daily use only. Limited to use in Bellingham bay. 6. Help promote educational and safety awareness events for area members. New Membership classification for members under 22 years old is $25.00. (We are trying to accommodate younger members that don’t have a lot of income). If you're under 22 years old , please contact admin@nskite.com to set up payment. At the NSKA annual meeting in October 2014 we had a great turnout and a good time at Nikki's. The organization elected a new board and had one member step down. Thanks to Carson for all your help as Treasurer! During the meeting Shad Malone was elected President, Tom Van Veen was elected Vice President, Cavin Philbin was elected Treasurer, and Andrew Olive was elected again to the At Large position. Camp Kirby on Samish Island was a great spot for the NSKA End of Summer party. While there wasn't enough wind to hold a race, there was enough for a few to get out and get some and some great food and fun. Camp Kirby is going to be a great place to launch on the south easterly winds this winter. It's use is exclusively reserved for NSKA members. Contact us (admin@nskite.com) for more info. The Hunter wind sensor is now live and spreading wind data stoke to the masses. The new sensor is mounted on the pilings right on the water and should provide very accurate readings (although sometimes it's windier offshore). The sensor is a Davis Vantage Vue (http://www.vantagevue.com/products/product.asp?pnum=06250) station with a wireless internet connection. The station is owned and operated by the NSKA. 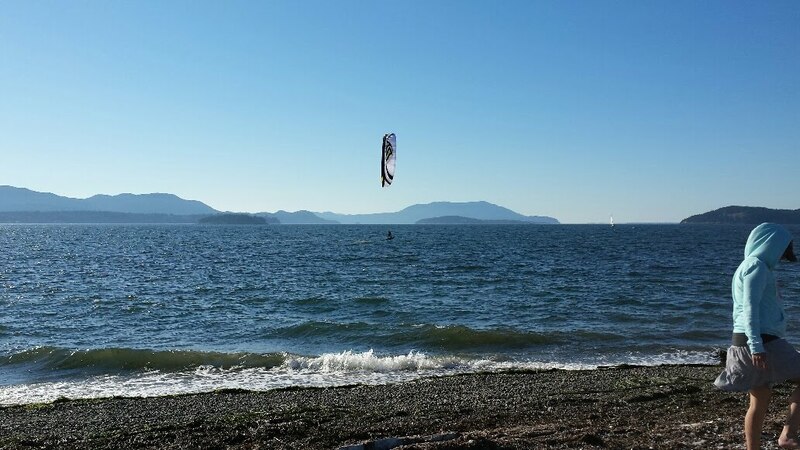 We are committed to turning membership dues into real world benefit for the kiting (ok and windsurfing too) community. See you on the water! The NSKA is happy to announce the arrival of the official NSKA Slingshot Race Board fleet. These boards are available for use by NSKA members and are located in the center. A sign up sheet is located above the board rack and has the rules and regs for using them. Essentially they are for members only use in Bellingham Bay. Please report any damage so we can fix 'em professionally. And don't ride in shallow water!!! The fin boxes aren't designed for dredging. While these are great one design race boards, they also make excellent light wind weapons. Don't have a big kite for light wind? No worries, grab one of these babies and pump up your 12!!! During the annual meeting the NSKA announced the election of the new President, Andrew Olive. Andrew replaces outgoing President Cavin Philbin who will continue to support the NSKA as a member of the Baord of Directors. Andrew will take over the reins of the orginization in September for a 2 year term. Andrew says he's excited to help the NSKA move from start up mode into more focus on having fun and getting the word out. The NSKA recently received approval to clear and use a vacant lot for parking near a local kiting spot. With the help of a handful of members well versed in the art of manual labor, the lot was cleared and should accomodate roughly 12 vehicles. While one group hacked and slashed brush another team helped build steps down a steep path to the water. Thanks goes out to all who helped to make this happen! Parking is limited to NSKA members only. Members are required by the landowner to complete a release. Please contact us (admin@nskite.com) for more information.